Hiromart Gallery is pleased to announce the gallery's annual group-show WINTER SHOW – works by gallery artists. This time, features paintings by Peter Arvidson (USA), Hideki Tarui (Tokyo. Japan) and Super Future Kid (Germany/U.K.). 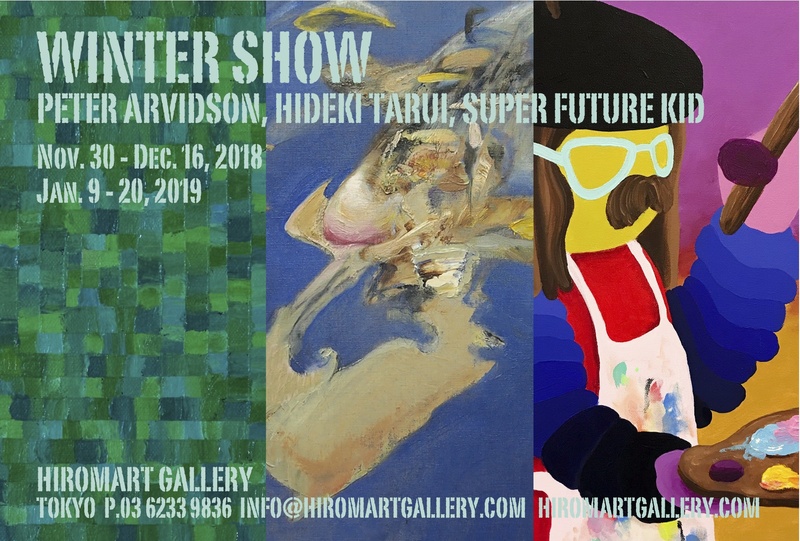 The show also contains small works of Peter Arvidson’s new series “Colorscape paintings” and new works by Hideki Tarui, especially made for this group show.